Three tag Custom Shapes tonight. Tags are always so useful. The middle one is a little weird but interesting. thank you so much for sharing!! :) Have a FABULOUS day! Thank you so much for this Freebie. I want to let you know that I posted a link to your blog in Creative Busy Hands Scrapbook Freebies Search List, under the Elements or Papers post on Aug. 14, 2009. Thanks again. so cute! thank you so much! Thanks for sharing with such wonderful CU !! These will be helpful! Thanks so much! 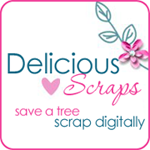 Free Promotion forum for (Designers/Store Owners): promos4digiscrappers. Free Scrap Kit - "Brighten Up"
I was going to make this a PTU kit but decided to wrap it up and have it as a freebie :) Click on the image to download.